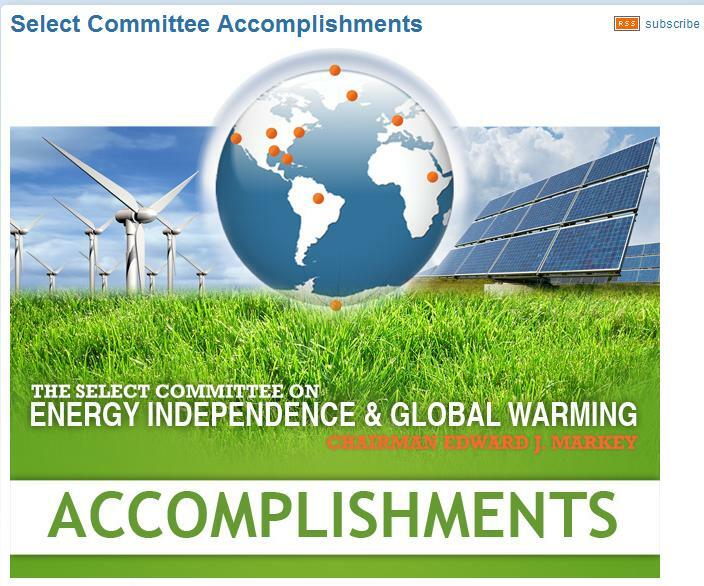 Pelosi’s House Select Committee on Energy Independence and Global Warming managed to dump millions on costly green projects and eliminate American fossil fuel energy production. Republicans announced today that they will shut down Pelosi’s global warming junk science committee. Republicans will eliminate the House committee created by Speaker Nancy Pelosi to highlight the threat of climate change, Representative James Sensenbrenner, the top Republican on the panel, said today. In one of her first acts as speaker in 2007, Pelosi, a California Democrat, created the House Select Committee on Energy Independence and Global Warming to draw attention to climate-change science and showcase how a cap on carbon dioxide needn’t be a threat to economic growth. Sensenbrenner had advocated extending the panel as a forum to scrutinize Obama administration actions. In an opinion column on Nov. 8 in the Washington newspaper Roll Call, he wrote that the committee was “more qualified than any other” to challenge Obama environmental initiatives that he said may threaten the economy. He acknowledged that other Republicans thought the panel should be eliminated to save money. Related… The historic cold wave continued in Europe this week. Heavy snow and subzero temperatures swept across Europe, killing at least eight homeless people in Poland, closing major airports in Britain and Switzerland and causing hundreds of highway accidents.